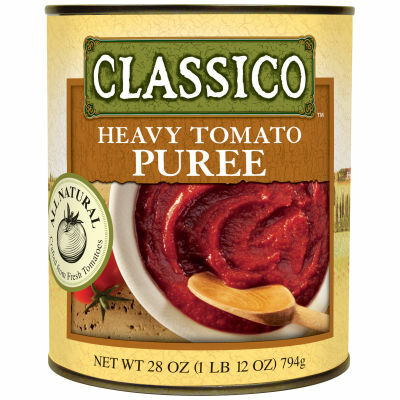 Classico Heavy Tomato PureeThe tantalizing, tempting and raving Heavy Tomato Puree is what you are missing in your recipes. Whether you use them in sauces, soups, salsa, stews, chili, or your very own culinary creation, Classico will make any meal as good as it can be. Perfect Fusion of Genuine FlavorsThe yummy and appetizing fusion of original ingredients and flavors in Italian style are going to satisfy your hunger which will have you craving more.